Find My Workspace lists over 95% of the business centres market in Reading. Simply click Request Quote to check pricing for one office, or Add to Basket for multiple offices. This contemporary building is located on a Science Park in the area of Sinfield. There are over 60 desks in this co-working environment, with natural light filling the open, airy space. There is a real community feel where innovation is encouraged and you’ll get access to expertise, sources of funding and free business briefings and workshops. There are flexible desks available, with the option of hot desk, flex desk or permanent desk depending on your needs. Amenities at the space include 24 hour access and security, breakout spaces, conference facilities, meeting rooms and shower facilities and you can also take advantage of the ample on-site parking. The space is perfect for new starters, early stage businesses or small, expanding companies to network, grow and flourish. This centre is in a building that has earned an outstanding BREEAM rating – the first in the south east. It boasts serviced offices, day offices, a business lounge, meeting rooms, virtual offices and hot desks. This centre is perfect for any business that aims to be environmentally friendly, while benefiting from an exceptional working environment. This centre’s proximity to the University of Reading means that there is plenty of talent, should you need people to join your business. Freelancer? Bigger business? If it’s hot desks, co-working or private offices you want, there’s a home for you at this business centre. Situated in the epicentre of the Thames Valley’s business scene, just moments from Reading station and the city centre’s growing number of restaurants, bars and shops. 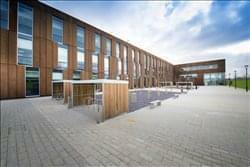 The space benefits from a wonderful range of amenities, including floor to ceiling windows, a panoramic roof terrace, showers, parking and bike racks. Perfect for startups, freelancers and bigger businesses this centre is a breath of fresh air into the growing Reading tech and business community. 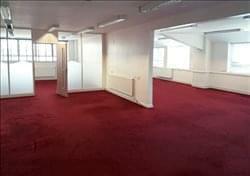 This centre is a convenient, cost effective and friendly office space that gives tenants access to on-site parking and is within easy walking distance to Reading train station. Each office comes with a variety of facilities as standard, and the centre strives to accommodate all of your office space needs. Each office space offers complete security and accessibility. This space offers a variety of lease options, with both short and long term leases available. The premises comprise a modern, detached, two-storey commercial building of predominantly traditional brick construction under a pitched roof with uPVC double-glazed windows and excellent on-site parking. Internally, a reception area is accessed via the lobby at ground floor level, whilst the first floor office suites provide open plan accommodation, all of which benefiting in the main from ceiling mounted fluorescent lighting, good natural light, double-glazing, gas fired radiator heating, carpeting, window blinds (in part), separate male and female WC’s and kitchen areas.. This modern business centre located in the heart of Reading, has 480 desks available over the first and second floors, perfect for businesses big or small. Here you will find exceptionally designed flexible work-space in a spacious and astonishing building. Where you can welcome your guests in the social space or use one of the various meeting rooms. Other amenities include; 24/7 secure access, full-height glass windows, on-site reception team who can provide professional managed reception as well as post forwarding and a fully equipped kitchen with tea and coffee facilities for your convenience. To obtain information for your selected Berkshire Business Centres, please tick the "Add to basket" box for each office you prefer and complete the form below. We will then send a detailed report via email.